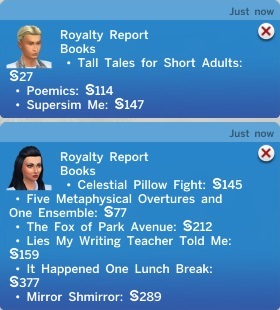 Today dawns beautifully in the Prospero household, Pawel has a special plan for his day off and Rosabelle will be in for a big surprise when she gets home from work! 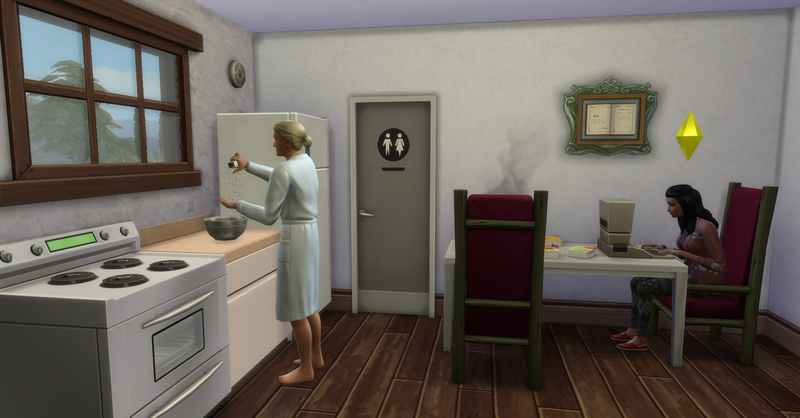 Pawel cooks breakfast while Rosabelle browses art on the web for inspiration before work. They eat their scrambled eggs together, although they only have one chair. They really need a dining table soon. After breakfast, Rosabelle leaves for work while Pawel tends to their blackberry bush. 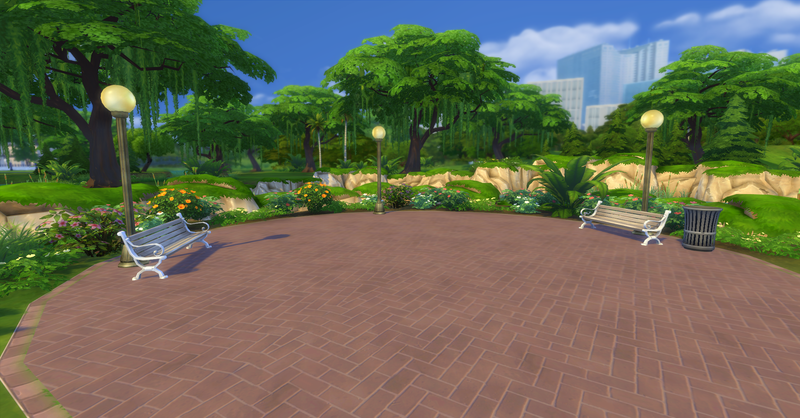 Today is Pawel’s day off and he goes collecting around Skyward Palms while Rosabelle is at work. He collects some metal and fossils by the pond. 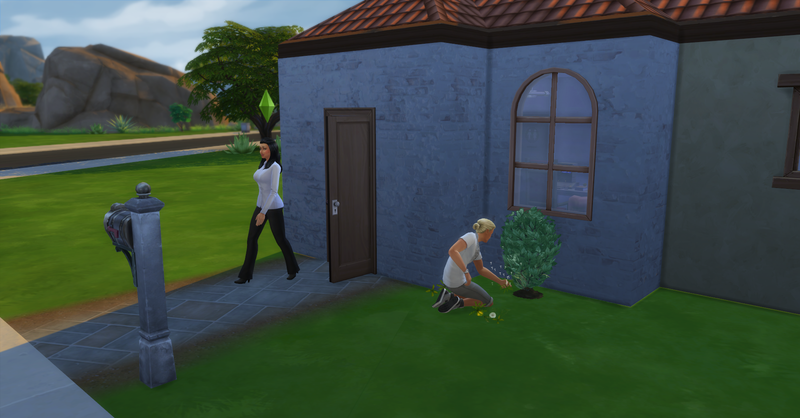 When Pawel gets home from collecting he decides to plant another blackberry bush from the harvestables he has collected. After planting, Pawel takes a quick nap before setting out to prepare for his big surprise later today. Pawel wants to propose marriage to Rosabelle when she gets home from work, even though they have very little money he wants it to be the most special moment of Rosabelle’s life so far. He plans to visit several areas nearby to see if he thinks they are the perfect place to pop the question! This is nice, but not special enough Pawel thinks. Rosabelle likes the water and she and Pawel have had some fun times fishing together, but this isn’t the right place either he thinks. 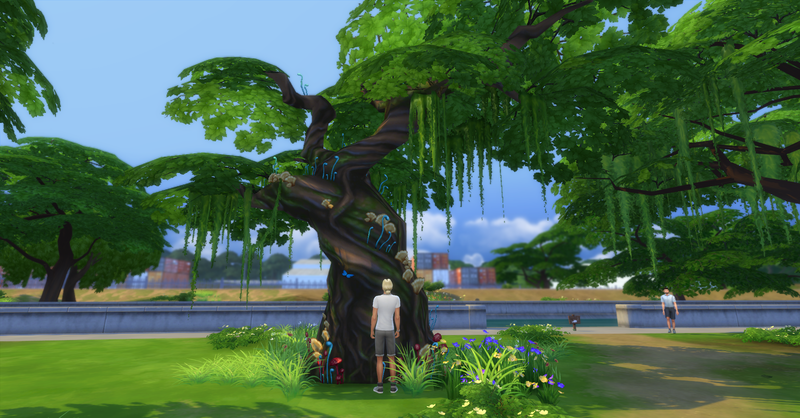 When Pawel was the librarian for the Willow Creek Archives before he moved in with Rosabelle, he had read about a secret glade that was accessible through an ancient tree. When he read this he had dismissed it as a fairy tale or an old legend of the area, but now he thinks that this magical glade is possibly the only place that is special enough for his proposal to Rosabelle. Pawel sets off in search of this ancient and magical tree, soon he discovers a towering tree with wild mushrooms and moss growing on it. There are some different actions available to Pawel for this tree, he can talk to it and then water it. He does those things and an entrance magically appears in the trunk of the tree. Pawel enters the tree and finds himself in a dark tunnel, he can hear the sound of a stream ahead of him and he follows the sound to the stream. He then travels downstream but his path is blocked by a mysterious mist, Pawel is unsure whether he should enter the mist or not. He decided to brave it for the chance to make his proposal in the most beautiful location in the entire world! 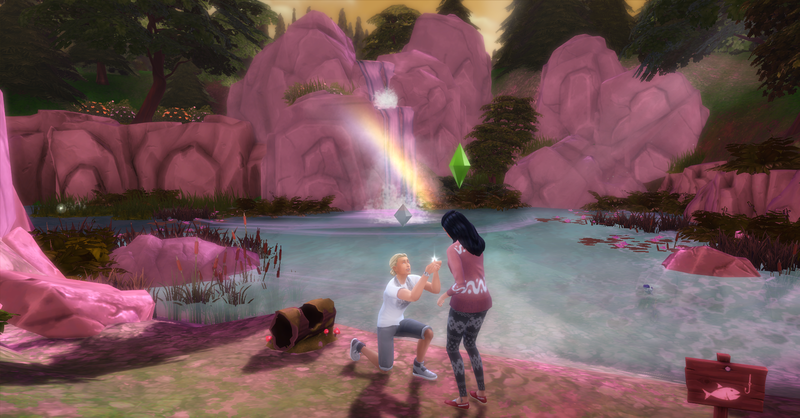 Pawel enters the mist and finds himself in the most beautiful and magical glade he has ever seen, he know that this is the place to pop the question to his beautiful hopefully-soon-to-be-wife! 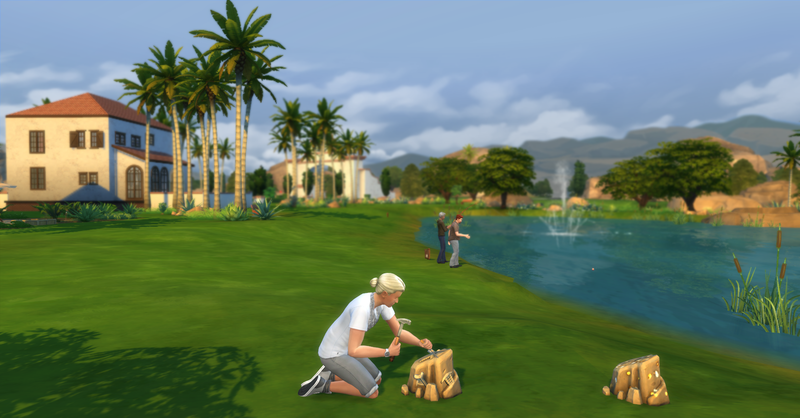 Rosabelle has arrives home from work with §400 simoleons and an additional vacation day. When she gets home Pawel isn’t there but she receives a text to meet him at someplace called Sylvan Glade. 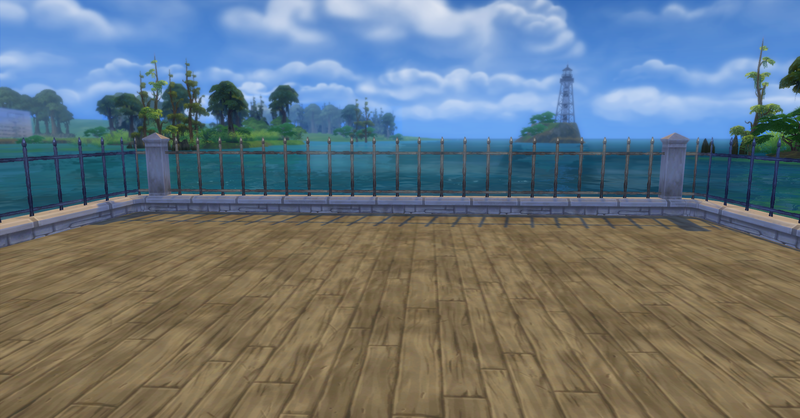 She isn’t sure whats going on but she happily heads over to meet Pawel. Pawel then takes a deep breath to prepare himself for this moment, he is feeling very nervous. Rosabelle is curious about why Pawel invited her to such a magical place and had been showering her with love. 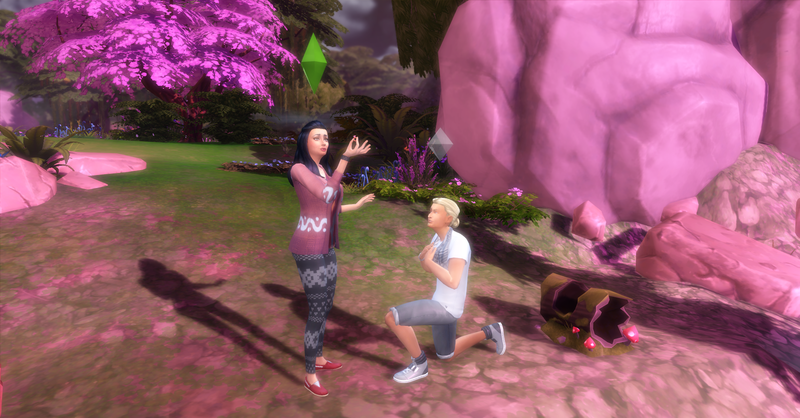 Pawel then drops to one knee and Rosabelle is surprised and amazed that this is happening! Pawel pulls out a gorgeous diamond ring. And asks Rosabelle to be his wife for the rest of their lives! She takes the beautiful ring and the setting sun gleams magically off the large stone. She doesn’t even need to think about the answer. She says yes! She knows that she want to spend the rest of her life with Pawel and start a family together. She then jumps into Pawel’s arms to celebrate. And they share a passionate kiss after the proposal. 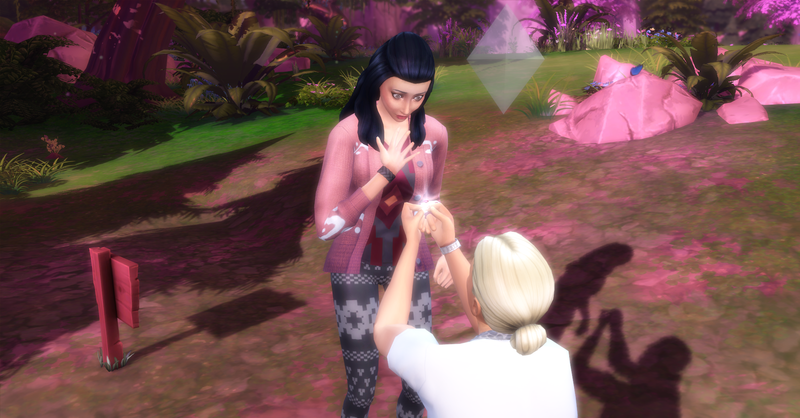 Rosabelle and Pawel head over to the Solar Flare nightclub to celebrate their engagement and tell some of their friends. Afterwards they return home tired and happy, tomorrow is a big day after all. They will be getting married! Pawel is a very happy man tonight when he goes to bed, he cannot believe that she said yes!